Amazing views through floor to ceiling windows. Large spaces, plenty of light. Open kitchen to be part of the conversation while cooking. Great views from the master bed. Living room and northwest view of the Miami River and the city, seen from above. Yes, these are real views from the condo. Floor-to-ceiling windows, views and plenty of light. Long chair (flat) if your child wants to sleep in your same room. Kitchen is large, with all appliances and fully equipped. Views from the second bedroom. Second bathroom, with its own shower. Views, light, ample spaces, modern design, clean condo. For your entertainment it features three TVs (in living and in each bedroom), with over 200 channels, including HBO & Showtime and music stations. For most guests really fast internet is of the utmost importance and accordingly we offer you a dedicated connection with 50Mb (unlike most hotels which offer up to 5Mb and a shared connection). 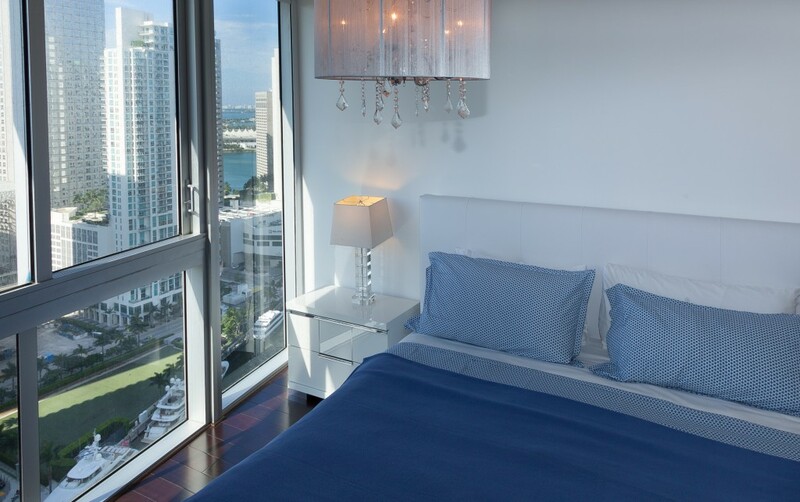 Master Bedroom with one king size bed with panoramic views of the Miami River and its luxury yachts, includes motorized window shades and walk-in closet and in-suite bathroom with separated bath tube and shower and two washbasins. All floors and counter tops in marble. Second bedroom with queen size bed and views over the city, the bay and the river, includes TV and closet. Amazing apt, great location! Would definitely stay here again! Thanks Elisa for your review! It will be our pleasure to host you again in one of our properties, all of them follow the same standards of location, views, quality, cleanliness, etc. See you soon!! Great Location!!! This place has a very nice decoration and is a great option if you are planning to be around Brickel. Thanks so much Mario for your review. Most of our guests as you appreciate our apartments location, decoration and cleanliness. You will be always welcome in one of our properties please do not hesitate to contact Miami Vacation Rentals whenever you need accommodation in the city. See you soon! Thanks for your review Bobby! Glad to know you enjoyed your stay in our apartment. See you soon!! Muchas gracias Hugo por tu opinión. Estoy segura de que será de gran ayuda para futuros huéspedes. Esperamos verte de nuevo por aquí. 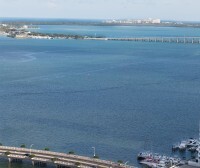 To start off the view is breathtaking, it’s absolutely beautiful, you have a full view of multiple parts of Miami. The location is amazing, downtown Brickell which is personally my favorite. The optional parking they provide is extremely helpful, and i saved the best for last, the spa! Thanks Christian for your review. So glad to know your stay in our apartment was so amazing. Most of our guests, as you, appreciate our less expensive parking spaces and of course the magnificent SPA in the building. We loved staying at this place. The views are gorgeous and the apartment is spacious and very well furnished. The hospitality and check-in was superb. The location of the place is also very close to several good restaurant and shopping options and very close Uber ride to South Beach. Laura was very quick while responding to any queries we had and also was very warm and receptive every time we met. I will not hesitate to stay here again next time I am in Miami. Thanks Tushar for taking your time to write such an amazing review. We are very glad to know you enjoyed so much your stay in our apartment. Most of our guests appreciate the labour of our Site Manager, it is very helpful to have her living in the building, she welcomes our guests and is available during their stay for any doubt or inconvenience. Let me share here too your Private Feedback: "Thanks for the lovely stay. You have a great apartment and one that I will recommend to all my friends traveling to Miami." You or your friends will be always welcome in one of our properties. 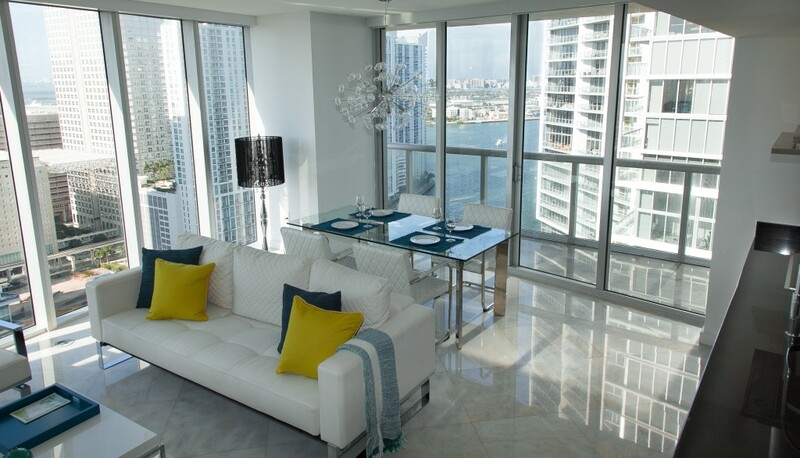 Do not hesitate to contact Miami Vacation Rentals again whenever you need accommodation in Miami. If you think the condo looks great in photos, it's even better in person. Our host was extremely punctual and courteous. She was felxible with our checkout time since our flight was later in the day. The area is right next to everything you need from groceries, alcohol, food etc. The front desk workers are consistently helping you carry luggage , bags, and making sure your Uber/Lyft etc, arrive to the front door. Room was very quiet and we didn't hear any noisy neighbors. Elevator takes a bit of time since we were high up but , with that came saftey. The only way you can access the elevator is with a key . When ever we ordered food to our room , the delivery man would be escorted to our room with a guard. 100% will return and recommend. Thanks so much Michael for taking your time to write such an amazing review. As you comment this is a very secure building and area and most of our guests are surprised because what they find when they arrive is even better than what they saw in the photos listed. See you soon!! Thanks so much Steve for your words. We are happy to know you enjoyed your stay in our property. 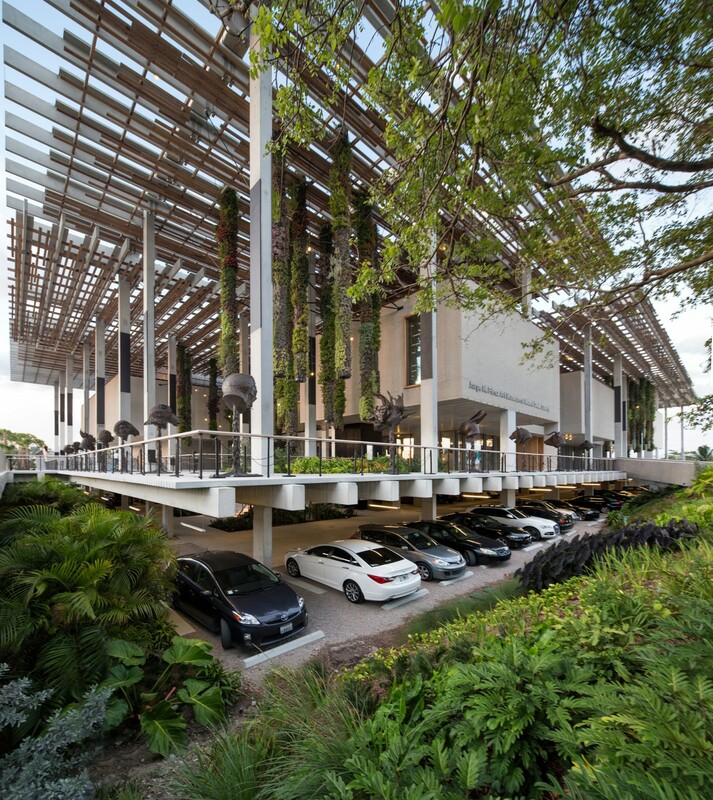 Our parking spaces in the adjacent lot are more affordable and easy than the valet parking service in the building and most of our guests who rent car choose that option. Natalia was a great host and her place exceeded my expectations. Location was great, plenty of amenities, very stylish & clean. Thanks Alexis fro your words. Glad to know you enjoyed your stay in our apartment. 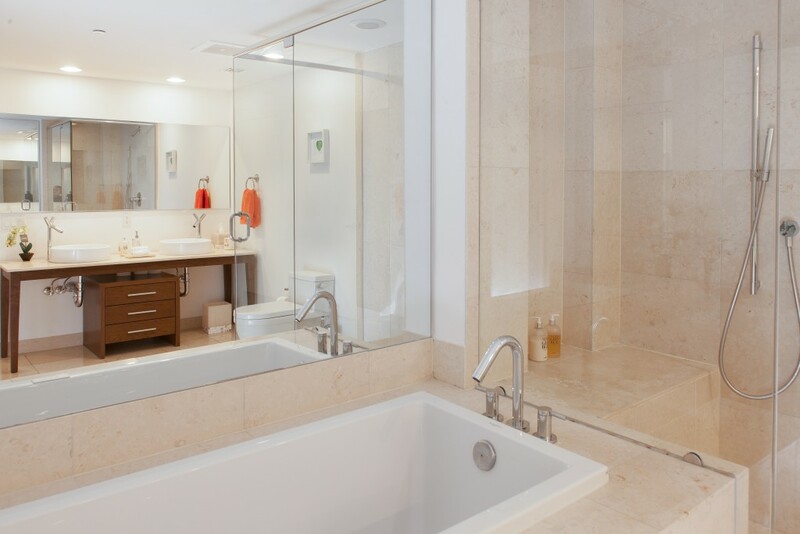 You will be always welcome in one of our properties whenever you visit Miami in the future. This was a wonderful place to stay. Thanks Cornelius. Glad to know you enjoyed your stay in our apartment. You can have the best time of your life in Natalia's place! We were 3 adults and 2 kids and we all enjoyed this gorgeous apartment. Extra clean! We bought some groceries for breakfast and snacks throughout instacart, but whole foods and Publix are near by. The location is perfect and close by every place we wanted to visit. Uber works amazing, they are usually waiting around the corner! We were welcome with a bottle of wine we enjoyed the same day! Thanks Paola for your review! We are happy to know you really enjoyed your stay in our apartment. Most of our guests, as you, appreciate our efforts and daily work to make our guests feel like at home. Let me share your private feedback too: "Amazing host! They went the extra mile to make our stay unforgettable. Thank you !" Thanks Adrian for your words! We are very proud of our cleaning crew, most of our guests highlight the cleanliness of our apartments. From my search of this proerty and initial inquiry, the owners have been great. This was my very first experience using this vacation service. Myself and those who traveled with me were in awe of the property. It is gorgeous and exceeded our expectation. The views are spectacular! Check-in was simple, anytime we made contact with mananagement (which was rare) we had a quick response. The area was great and a short distance to many restaurants. After a couple of days we truly felt like residents. My only suggestion is for a soap dish/gel holder in the second bathroom shower. You will be very well pleased if you stay here. Thanks Noddia for taking your time to write such an amazing review. Glad to know you and your party enjoyed so much your stay in our apartment. We try to give the best service to our guests to make them feel at home from the very beginning. Most of our guests like you appreciate the quick response of our staff and having our Site Manager living in the building helps also to have a quick response and help with any inconvenience during the stay. Thanks so much for your remark about the second bathroom, we will take it into account and will try to solve it as soon as possible. Let me share also your private feedback here: "You have made our trip memorable with the stay at this property. It was a home away from home. Your description of the property is very accurate. The level of customer service you and your team provided was wonderful. I would recommend this location to friends and family who visit this area. Thank you for your gracious hospitality." 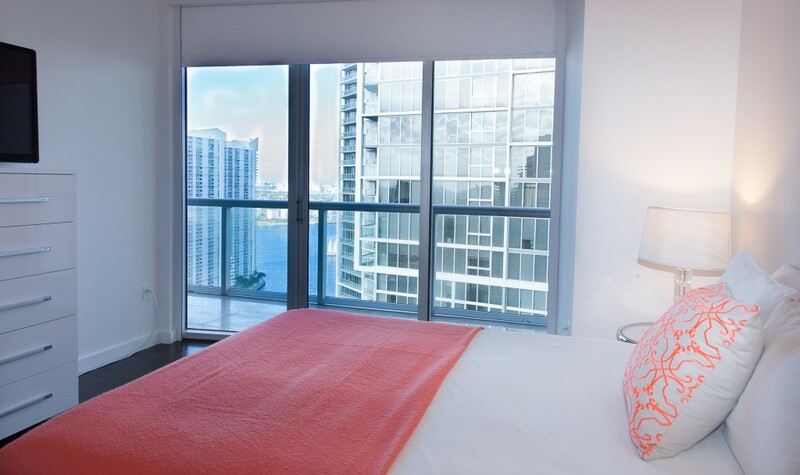 It will be our pleasure to host you again in the future, please do not hesitate to contact Miami Apartment Rentals whenever you need accommodation in Miami. Very nice apartment in a convenient location. The pictures are representative of the space. I would highly recommend this apartment. Thanks so much Jak for taking your time to write a review. Most of our guests tell that the photos they saw in our listings were the same as they find when they arrive, some of them even say that the apartments are even better than in photos. You will always be welcome in one of our apartments. Let me share too your private feedback: "Thank you for having us. We had a great time and would recommend highly to friends." 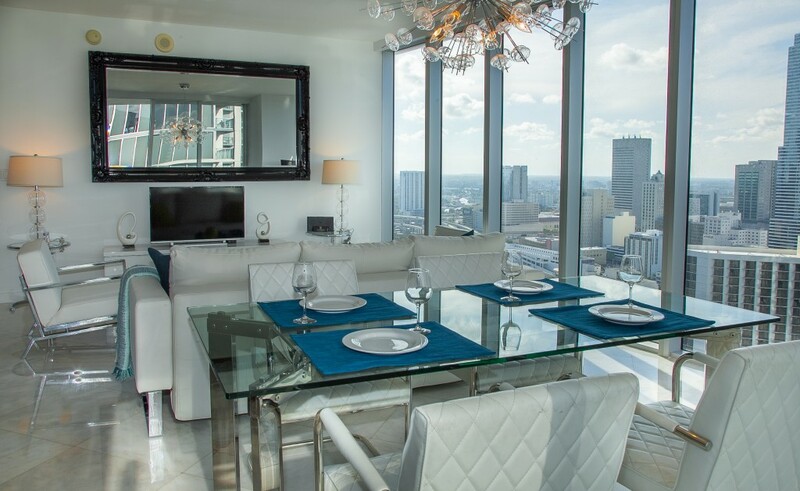 Natalia’s place is the most beautiful place you can stay at in brickell. Trust me, you’ll be happy everyday you wake up. Thanks Greg for your words! Nice to know you enjoyed your stay at our place. Let me share too your private feedback here: "Thanks so much. Was great staying at your place." I hope we could have you again as our guest in the future. Amazing spot!! Beautiful view!! Super clean and super chic!! Would stay at again. Thanks so much Mike for your kindly words. We are very proud of our cleaning crew and most of our guests like you highlight the cleanliness of our apartments. You will be always welcome in one of them whenever you visit Miami in the future. See you soon!! Natalia's place is amazing.... Enjoyed my first Airbnb experience and will for sure come back and stay here... Natalia is also an awesome Host. Thanks for your review Jeamica. Glad to know your first Airbnb experience was so good for you. Let me share too your private feedback: "Hey Natalia, My friends and I really enjoy the stay and we will for sure stay again. Thank u for Being a Great House and making us feel comfortable!!" I am sure it will be very helpful for future guests to decide to rent one of our apartments. See you soon!! Thanks Andres for your review. I am sure it will be very helpful for future guests to decide about their accommodation in Miami. 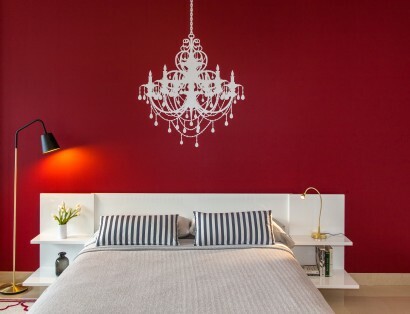 All our apartments follow the same standards of quality, equipment, decoration, cleanliness and location. It would be our pleasure to host you again in the future. Excelente acomodação, excelentes anfitriões! Exatamente igual as fotos postadas. Riqueza de detalhes e bom gosto. Recomendo muito esse lugar. Muito obrigado Alexandra pelas suas palavras. Fico feliz em saber que você aproveitou a sua estadia em nosso apartamento e apreciado nossos detalhes e serviço. 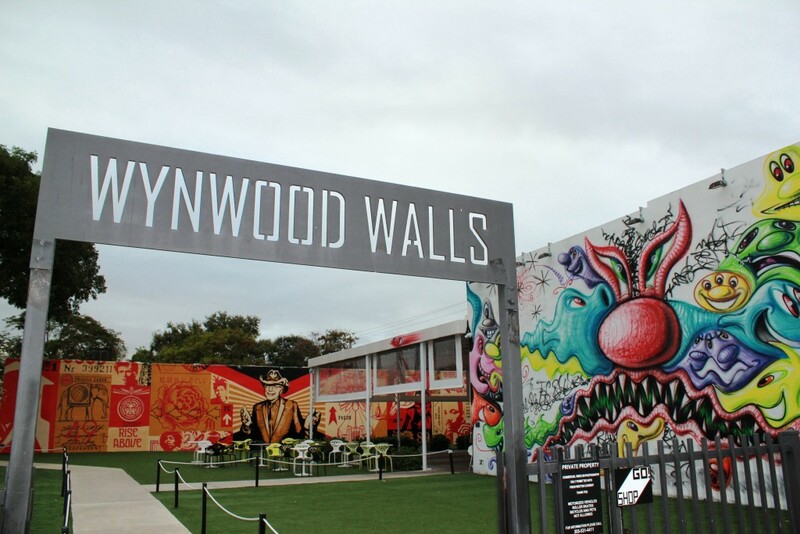 A maioria de nossos hóspedes, como você, são hóspedes frequentes que fazem reserva conosco toda vez que visitam Miami. Te vejo em breve! Thanks Sharod! Glad to know you enjoyed your stay in one of our apartments. All of them follow the same standards of quality, equipment, location, etc. That's the reason why most of our guests are repeat guests who reserve with Miami Apartment Rentals every time they visit Miami. Muchas gracias por tus palabras Jorge. Este edificio es uno de los mejore en Brickell en cuanto a ubicación y amenities, manejamos más de 20 propiedades aquí y todas ellas tienen el mismo nivel de calidad, equipación, etc. Esto y nuestro excelente trato a nuestros guests desde el primer minuto de la reserva hasta el check out son nuestros puntos fuertes. Por eso nuestros clientes nos eligen una y otra vez siempre que vuelven a Miami. Esperamos volverte a ver pronto por aquí. Natalie's place was great. The view was just amazing! Thanks for your words Gwen! Glad to know you enjoyed your stay with us. Great apartment, great views, great furnitures!!!! Great apartment, great views, great furnitures!!!! We enjoyed our stay there so much!!! Natalia and the condo were fantastic. Would definitely recommend and I hope to be back again soon. Thanks Tenaya for your words, it was also a pleasure for us having you as our guest. I also hope to have you hosted again in one of our apartments in the future. 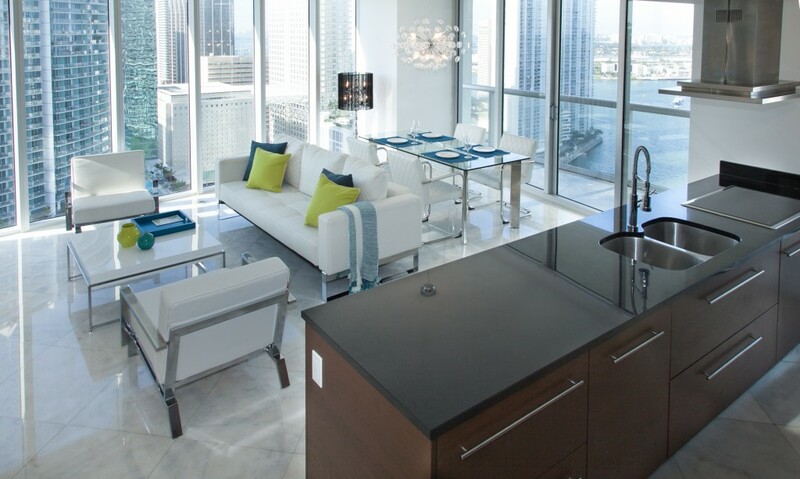 You are welcome to contact Miami Apartment Rentals in your next visit to Miami. 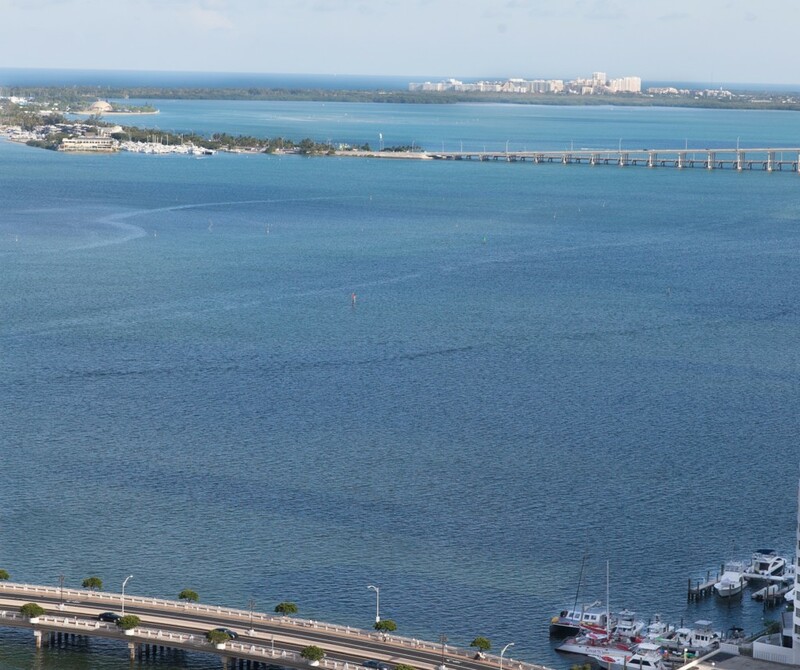 Beautifully appointed condo with an awesome view and in a great location. We would definitely stay here again on our next trip to Miami. Thanks Mark for your kindly words, we ar glad to know you enjoyed your stay in our apartment, the views and neighborhood. For us it will be also a pleasure to host you again in the future whenever you visit Miami. See you soon! Espectacular. Departamento lujoso, cómodo y con una vista increible. Fuimos muy bien recibidos, y nuestra anfitriona muy atenta. Gracias Carlos!! Qué alegría saber que disfrutaron tanto! Queremos ofrecer apartamentos de mayor calidad que la media, cómodos, lujosos y bien equipados, y al mismo tiempo proporcionar un servicio eficiente. Si lo logramos contigo, nos sentimos muy contentos. Esperamos verte de nuevo por Miami! Ha sido un placer teneros como guests. Natalia’s place has a great view. It is big and clean just as described. Overall my family had a great time staying there. Thanks Patrick for your review, nice to know your and your family enjoyed our apartment and views. It will be a pleasure for us to host you again whenever you visit Miami in the future. What a wonderfull apartment. We were two couples travelling together and the place was perfect. It has amazing view, it is spaceius, beutifull and very clean. We used the modern gym and amazing spa for free, which was really great. Also, the Kitchen was fully equipet, and we had dinner in the apartment several times (partly because we liked the apertment). Check in and check out - this wasa very good place. Thanks Astrid! Glad to know you felt so comfortable and enjoyed not only the apartment but all the building amenities included. 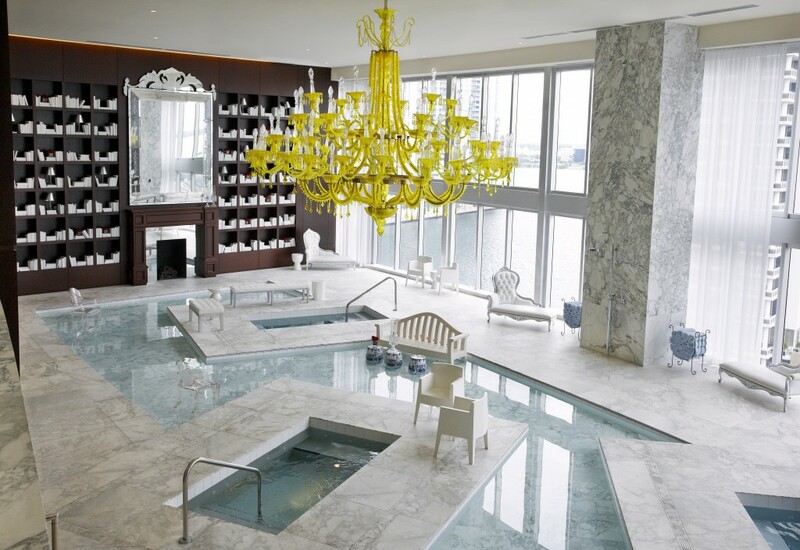 As you mention SPA designed by Philippe Starck is really amazing! Most of our guests, as you, highlight the cleanliness of our apartments, we are very proud of our cleaning crew. It will be a pleasure for us to host you again whenever you visit Miami again. This condo is really spectacular. The pictures don’t do it justice. The views are amazing and there are number of restaurants and museums fairly close by. I’d totally stay again and choose this over staying directly on the beach every single time. Thanks Jessica for your review. Most of our guests mention the same as you, they find the apartments ever better than in the photos. Glad to know you enjoyed so much your stay in our apartment and also the neighborhood. It will be a pleasure for us to have you as our guest again in the future. 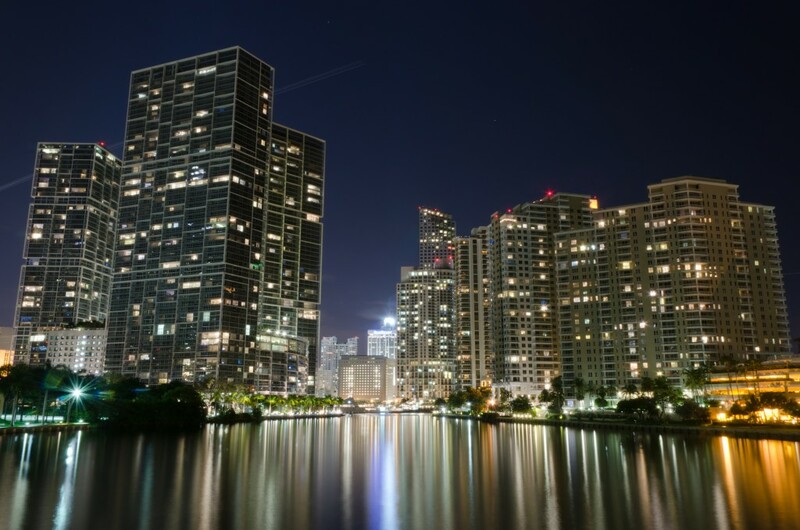 El departamento está ubicado en una zona excelente de Miami, en Brickell están cerca a Miami Beach, al aeropuerto, a los mejores centros comerciales y al mejor entretenimiento nocturno. También es muy fácil conseguir cualquier cosa que deseen, comida, medicinas, etc. están a pocas cuadras del edificio. Natalia estuvo pendiente de nuestro viaje 1 semana antes y Nicole siempre estuvo atenta de nosotros desde el minuto en que pisamos Miami; nunca tuvimos ningún problema en nuestra estancia, el departamento es espectacular, cómodo e impecable. De seguro vamos a regresar. 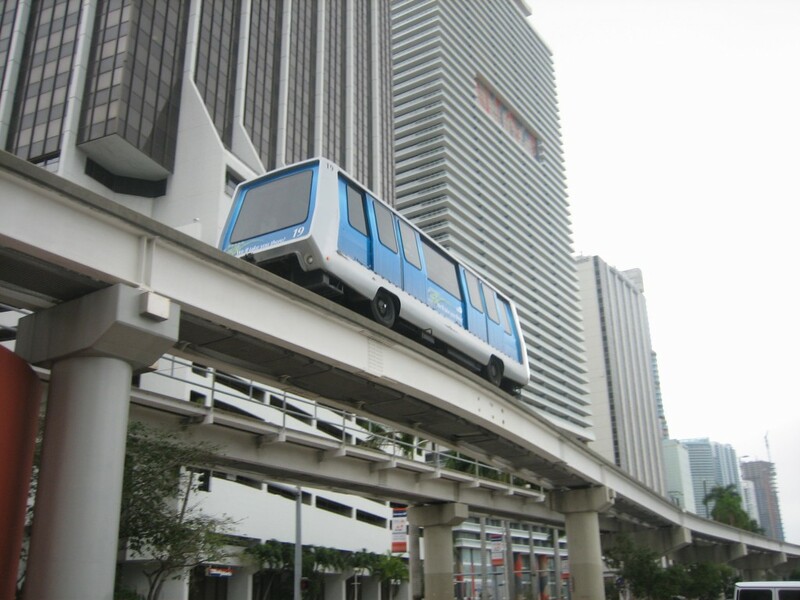 Muchas gracias Roberto por tu excelente review, seguro que les será útil a futuros huéspedes que estén buscando alojamiento en Miami. 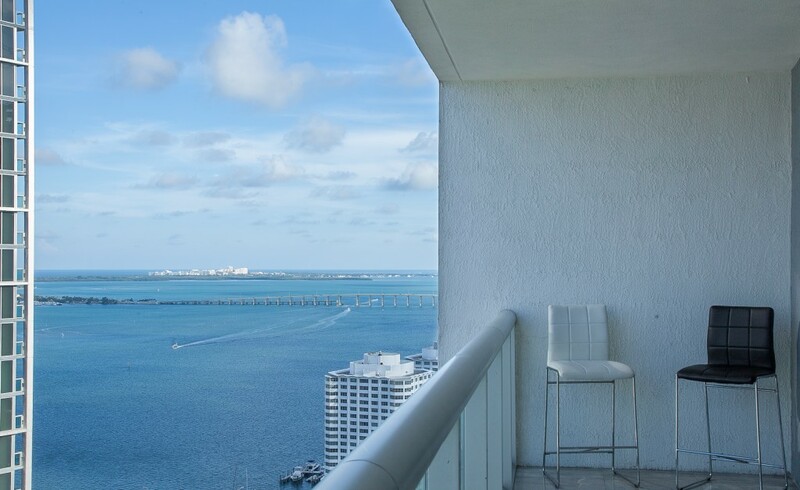 La verdad que la ubicación de nuestros apartamentos es un lujo, en la mejor zona de Brickell, eso junto con la limpieza, decoración y vistas es lo que más aprecian nuestros huéspedes. Nos gusta cuidar los detalles y el exquisito trato de nuestro personal es uno de nuestros puntos fuertes, y que huéspedes tan fantásticos como tú sepan valorarlo es todo un orgullo. 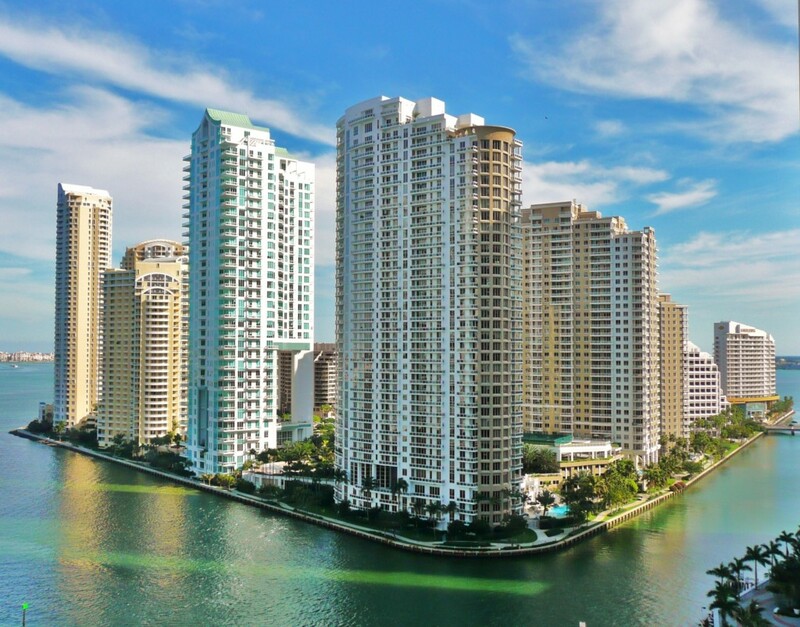 Te esperamos encantados siempre que quieras regresar a Miami y alojarte en uno de nuestros apartamentos. Muchas gracias Gerardo por tus palabras, la verdad que la ubicación y las vistas de todos nuestros apartamentos son de lujo, "un placer para los sentidos" suelen decir nuestros huéspedes. 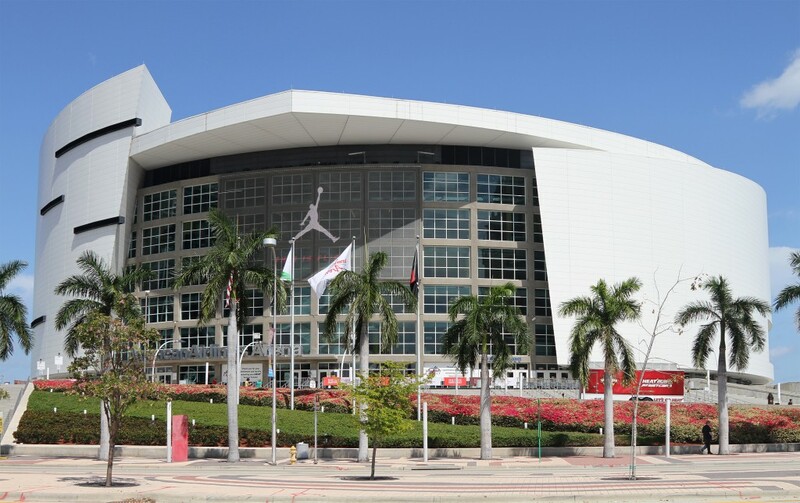 Será un placer tenerte de nuevo con nosotros siempre que vuelvas a Miami. 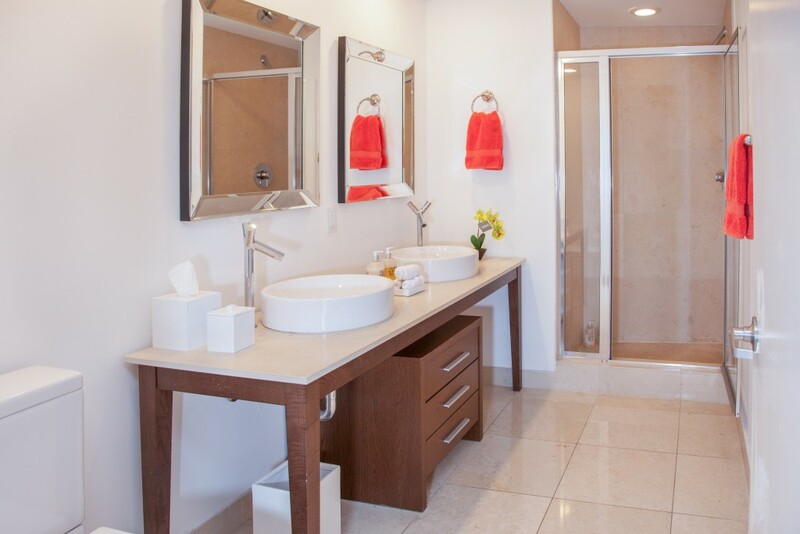 Super beautiful apartment and wonderful spa and fitness center. Whole foods is nearby, very convenient. Nicole is so nice and professional. Thank you so much! Thanks Yudi for your kindly words! Thanks so much for choosing Miami Apartment Rentals for your stay in Miami, it was a pleasure to have you as our guest, I hope we could have you again in the future. Our stay was great ! 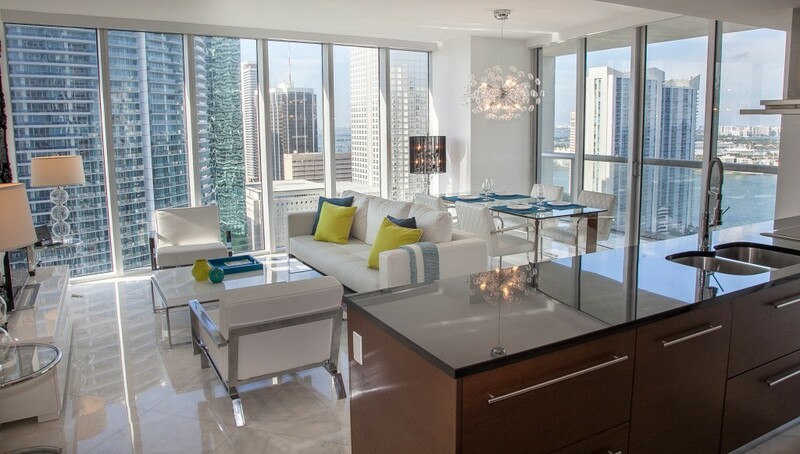 Fell in love with Miami from this condo ! Thanks Tameia for your words. Nice to know you enjoyed your stay in our condo and also the city. We were very glad too to have you as our guest and it will be a pleasure to host you again in your next visit to Miami. Very nice place in a central location for most of the activities that you would like to do! Thanks for your review D'Andre. I hope we could have you as our guest again soon. Thanks Rah for your words! Hope we could have you as our guest again in your next visit to Miami. The condo is beautiful and in a great location, close to shops, restaurants and night life. Nicole was great, informative and very responsive. Thanks for your words Kelvin. Glad to see you enjoyed your stay with us and also the neighborhood. Hope to see you again soon! We had a great time at the W. the condo was a good fit for our family. Very clean and well managed and it's central to Miami Beach! Thanks Krista! Glad to know you enjoyed your stay in our condo and Miami too. Hope to have you as our guest again every time you visit Miami. See you soon!! Schönes Apartment! Der Ausblick war der Wahnsinn! Ich kann dieses Apartment definitiv weiterempfehlen. Es ist nicht billig, aber das Preis-Leistungsverhältnis ist vollkommen in Ordnung. Bei uns war der Poolbereich auf Ebene 15 im Umbau (bis Ende des Jahres), deshalb konnten wir das nicht nutzen und dadurch war der Weg zum Spa/Sport-Bereich sehr umständlich und lang. Das Restaurant hatte dadurch keinen Aussenbereich. Thanks for your words Thilo, I hope to have you as our guest again and you could enjoy the renovated pool area. 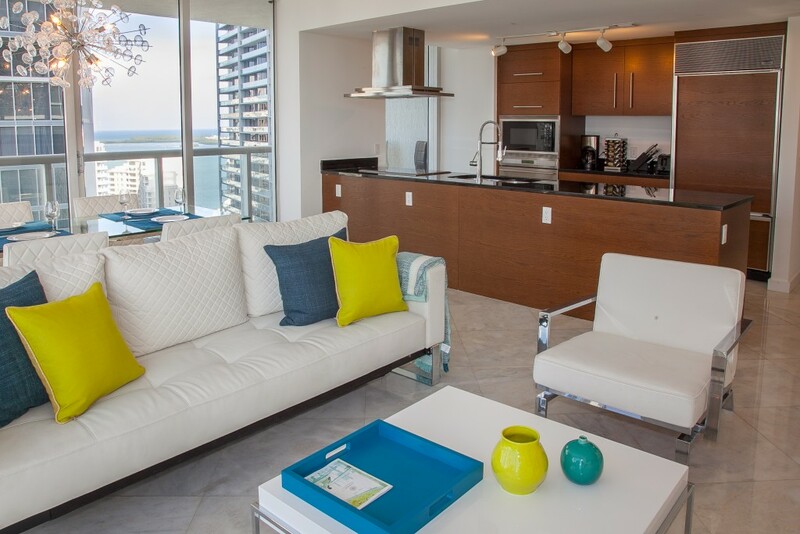 Natalia's condo is perfect for travelers who want to experience Miami. We loved it. 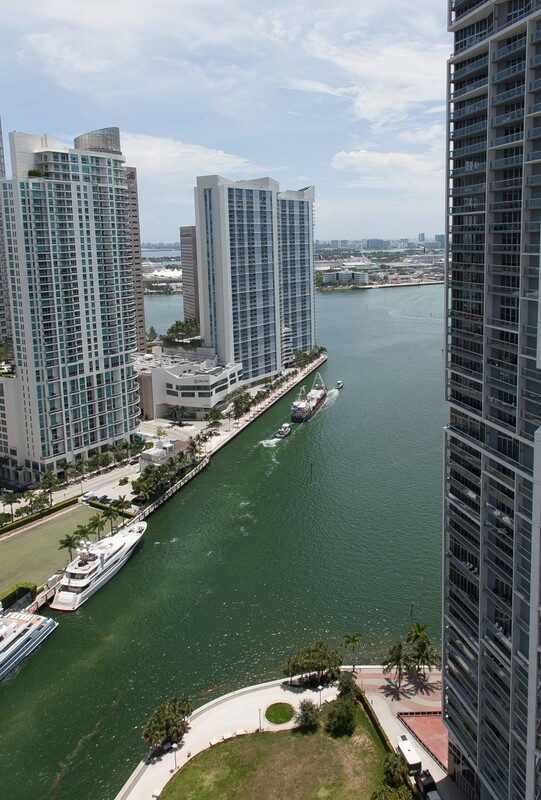 Close to the beach and in the middle of Brickell with stunning views of downtown and the river. 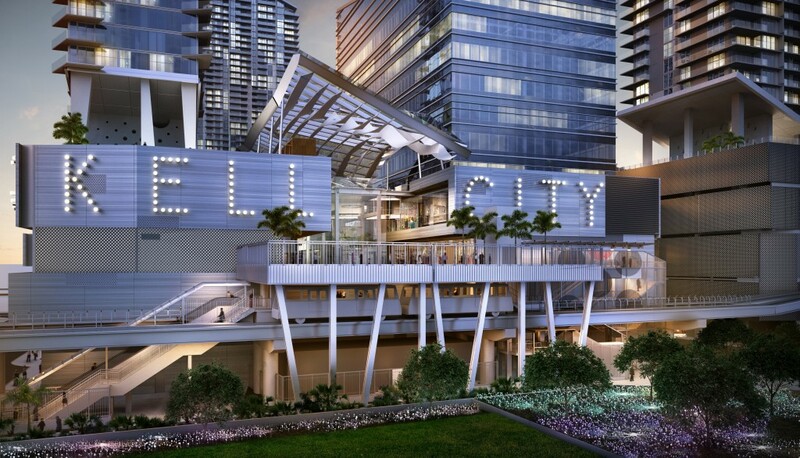 We love the location, close to a myriad of restaurant, Wholefood, night life and shopping at Brickell City Center. This was better for us than the beach. Hi Christian! I'm so happy to know you enjoyed our condo so much and Miami too. Most of our guests appreciate the location and great views of our apartments. I wish we could have you as our guest in your next visit to Miami. This apartment was very clean and beautiful. It had large windows and a beautiful view of the downtown area. The amenities were great and the host was a pleasure to work with. I would definitely recommend staying here! A beautifully designed, spacious apartment with amazing amenities, gorgeous views, and a fantastic location. This place is very modern and the view is to die for. If you want to get away for a day or weekend and would love to live like the rich and famous this is the place to stay. Este apartamento es espectacular. La vista es increíble. Todo funcionó perfectamente. The location was perfect and the property was very clean and spacious. Will definitely come again! Great Appartment with an awesome view in a top location. The Appartement has a nice interiour. The Communication with Mia (she manage the Check in and out) was easy and she was very friendly. This is the place to be in Miami. I can really recommend it. Perfect for four persons. Wow, you cannot beat the view. Natalia greeted us and gave a wonderful walk through and immediately responded to any question. A folder was provided which answered any question we could have had. The spa and pool were wonderful. Uber to anywhere is ridiculously cheap. The uber fare back to the airport was only 20.00 so there really is no need to rent a car. Save on parking. The restaurants are so close and fantastic. We spent a lot of time enjoying the views, going to the pool and having a spa day. Our last night we watched a movie on the smart tv which was great. I would love to revisit. We had a wonderful time. Thanks for a relaxing stay. As we came to the apartment Natalia welcomed us very kindly and showed us around. The check in was very easy and uncomplicated. She has her own parking place next to the building that we hired from her. 3 minutes walk. The apartment is amazing. Both bedrooms are comfortable and large. The open kitchen has everything you need. The view is more than fantastic! We were looking for an hotel or apartment at south beach but the hotels are too expencive for that what you get. A small noicy room. So we decided to take this apartment where we have enough space and we felt like being home! By the way south beach isn t far away and such a view you don't have at south beach! We had a great time in Miami and can highly recommend this apartment! Great location, amazing view and the apartment was beautiful! Absolutely gorgeous condo. Everything about it was perfect. Natalia was extremely professional and very courteous throughout our stay. I highly recommend her. siempre estivo pendiente de nosotros. siempre estivo pendiente de nosotros. A cualquier mensaje que le enviamos sobre algún consejo obtuvimos una pronta y efectiva respuesta. Al llegar nos tenia un detalle de bienvenida y un documento con tips muy útiles para disfrutar mas nuestra estadía. en verdad desde el primer contacto mostró ser una persona calidad y muy amable. sin dudad en nuestro próximo viaje la contactaremos. muy profesional , honesta y responsable. Thank you, Kristina! It was very nice to have you and your friend, Hope you enjoyed and to see you next time you come back to Miami! Have a nice week! El Apartamento es precioso, con vistas espectaculares, la atención tanto de los valets, conserjes y demás personal del Edificio es de primera, además el Condominio cuenta con un spa impresionante y el gimnasio de los mejores que hemos estado, en cuanto a los Restaurantes cada cual mejor, el Ciprianis es sin lugar a duda súper recomendado con un ambiente buenísimo y solo al cruzar la calle se encuentra el ZUMA, que se encuentra catalogado entre los mejores del mundo. Finalmente, y para mi lo más importante, la atención de los anfitriones quees EXCEPCIONAL, tanto Natalia como todos los miembros de su Empresa siempre están pendientes de sus inquilinos. Sin duda alguna, cada vez que viajemos a Miami alquilaremos con ellos!!!! Muchas gracias por tu comentario, Fabiola. Vds. son una familia de primera, muy educada y respetuosa con la propiedad y es un placer poder ayudarlos. Nos alegramos de que le sacasen tanto jugo a una zona que ya conocen bien. Será un placer volver a verlos por Miami en el futuro!! Great host and beautiful property. 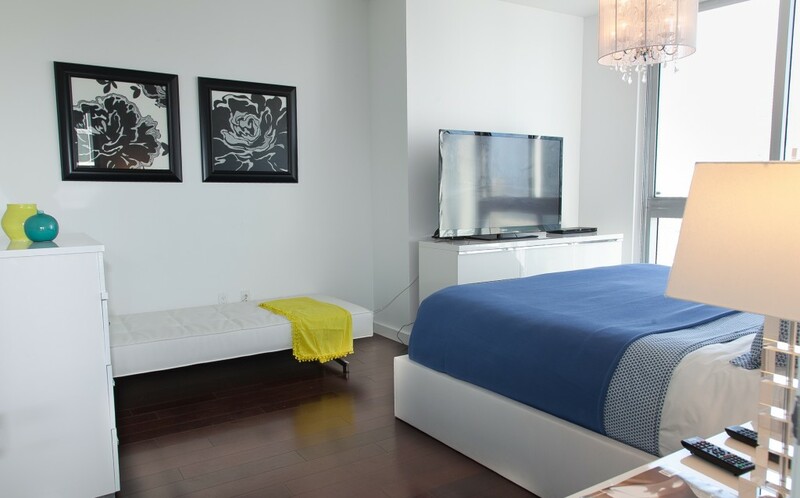 The apartment offers all you need to make your stay in Miami comfortable. Valet parking was sometimes a challenge, but other than that it was an excellent experience. Natalia was very sweet and helpful. I would recommend this accommodation to anyone who is interested in great service combined with a wonderful aesthetic setup. It was a 5 star environment. Cheers. Thank you, Michael You were 5 star guests as well! I am glad that you enjoyed so much and that you liked the decoration. We try to create unique and very comfortable places where guests fell at home. Hope to see you soon! Have a nice week! Fantastic 4 night stay, Natalia was responsive and very helpful. Painless checkin, condo was just as advertized, squeaky clean, pool was awesome. Natalia arranged for self parking in adjacent building - I'm not a valet guy - prefer a five minute walk over a fifteen minute wait. Great location too. I stayed in this flat from January 10th for a whole week and my stay was great. The flat is exactly as you can see it in the pictures! Very beautiful and offering an amazing view over Miami. The building itself is offering everything from entertaining to sport activities. There is a wonderful pool, a super spa, restaurants and bars. 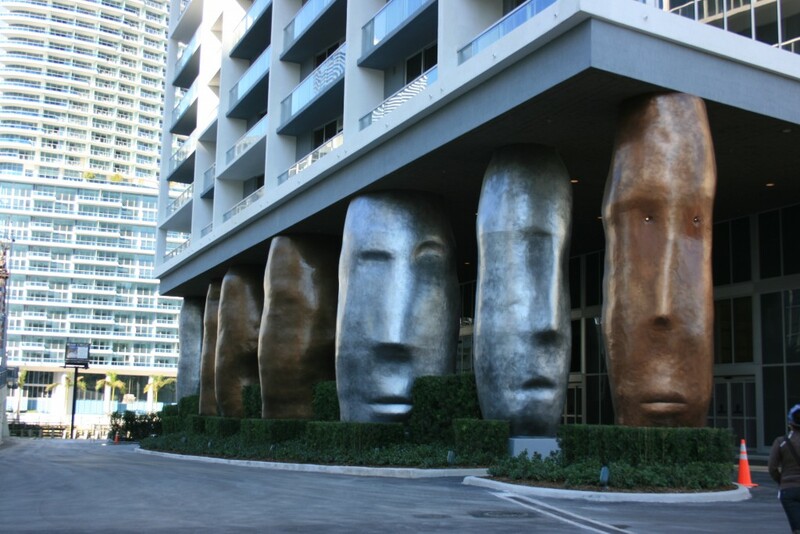 It is located in Brickell, the new Manhattan! What else? Just go! Assistance on site by Natalia and staff was excellent! Thank you for everything!! And next time I will be back, I will book again! This is the one you want!!! Upscale in every way. Wow, Kelcey, your review was thorough and excellent, the best! Thanks a lot for taking the time to write it. I am sure future guests will thank you for the little review included among your comments?. The four of you were excellent guests. It has been a pleasure helping you with whatever you needed. It was the first time we rented that apartment and we were nervous because something always comes up the first time. We thought that things ended up working fine and now thanks to your review we got the confirmation. Glad to know you enjoyed the amenities, the “self-contained resort” as you call it. We love what we do and reviews like yours encourage us to keep going. Thanks a lot!! La experiencia ha sido insuperable!! La experiencia en el apartamento de Natalia ha sido insuperable!! bellisimo, super comodo y exactamente como las fotos! Natalia es una excelente anfitriona, atenta a cada detalle y muy amable. Todo el apartartamento esta completamente equipado y en muy buenas condiciones. Ha sido un placer habernos quedado en esta unidad, estoy segura de que cada vez que vaya a Miami, hare todo lo posible por quedarme ahi de nuevo! Gracias por todo Natalia! eres ademas una bella persona! Laura, las bellas personas sois vosotros! Da gusto encontrar guests así: felices con todo, comunicativos y tan cuidadosos y respetuosos. Siempre insisto en lo afortunada que soy de poder conocer a gente como tu y poder contribuir un poquito a que un viaje sea una experiencia placentera y que deje un buen recuerdo (como siempre debería ser!) Aqui siempre encontrareis una casa lejos de casa. Espero volver a veros muy pronto! un fuerte abrazo. It was all as expected and described. We had some minor issues with the heating but that was fixed right away and there is nobody to blame for. 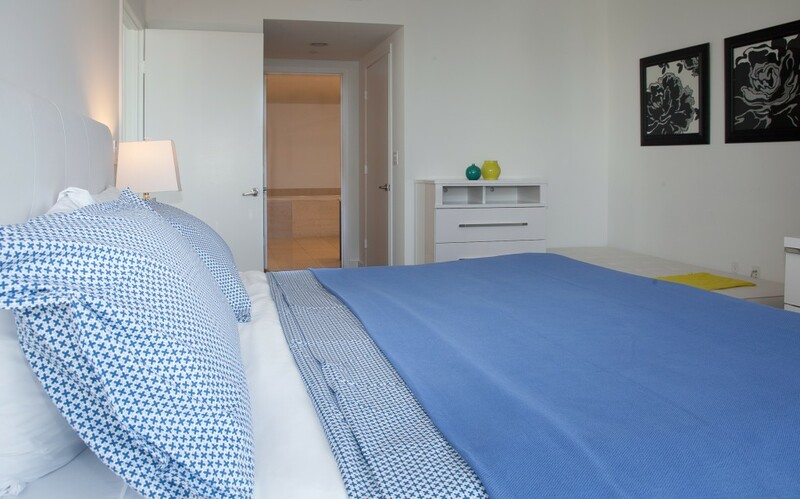 The apartment offers all you need to make your stay in Miami comfortable. It was also very quiet in the building as it was also during our other visits in the Viceroy. The parking is something, which can be a challenge sometimes. Just be patient and get use to it. Other than that all was really nice and Alvaro who looked after us was very helpful and he is a very nice guy. 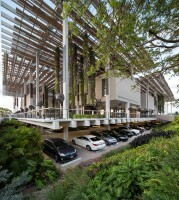 We enjoyed 5 nights at the Viceroy, and can recommend this warmly. Will stay again. Perfect, Perfect, Perfect ! Exceptionally clean and excellent service are most important to me being a huge fan and regular loyal customer of the St. Regis. Natalia and her her husband were the perfect host and genuinely kind, sweet people who would stop at nothing to provide us with all of the luxuries and five star service of the St. Regis and more. The accommodations were well appointed, safe and most enjoyable. Being " neat freaks " we were so very happy to be provided with cleaning supplies so we could clean and wash daily and to also find the refrigerator, cabinets, cupbords clean and clear of personal items and food. We had a very relaxing and restful getaway and look forward to staying again during our frequent visits to Miami. Natalia and her husband were great hosts and immediately responsive. From the beginning we were greeted outside and helped with our luggage. 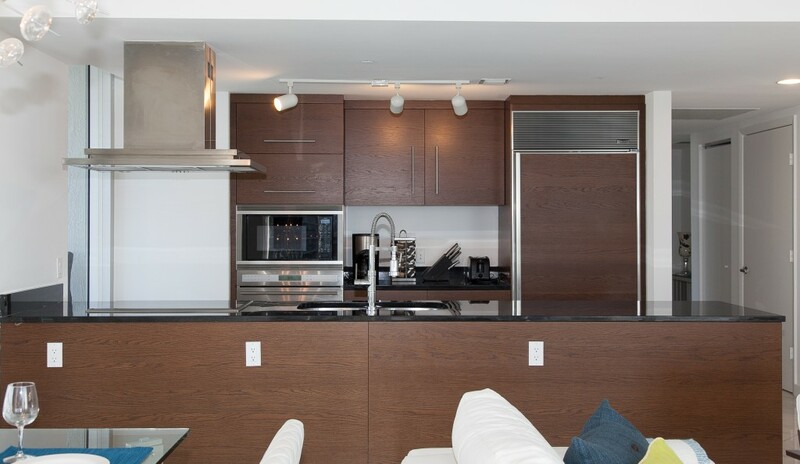 Their condo unit was meticulously clean and modern in every aspect from flooring to appliances. The view of the water and downtown Miami were beautiful. We would definitely go again! Beautiful place and decor. Super close to everything. I highly suggest you rent a car and park it in the valet. The Whole Foods was within walking distance and we were able to enjoy a couple meals on our own. We also had food delivered to our room one day. It's also very nice to have a washer and dryer so you can clean all your clothes before you leave. I would love to come back to this place again. It looks like you had an excellent time, Ashley. You´re right that you can easily walk and find entertaiment and conveniences around here. That´s why I recommend this place for people without a car because as you say, you can even walk to the supermarket (Whole Foods). I´m also glad that you took advantage of the in-unit washer & dryer. As for the decorations, I´m touched by your appreciation because I personally designed the unit. I would be very pleased to host you the next time you are in Miami! This condo was absolutely fantastic! This condo was absolutely fantastic! 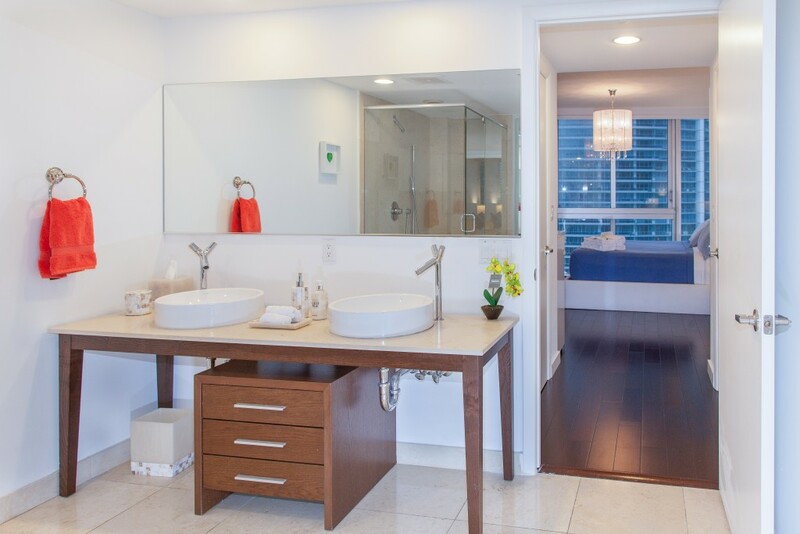 This luxury unit was spacious with beautiful view of downtown Miami. Natalia took the time to explain us everything we needed to know about the building as well as the surroundings. The pools and restaurants inside the complex were great. Thank you Natalia! It was a pleasure to host you, Ghislain. Having 4 restaurants inside the complex (two on the swimming pool deck on the 15th floor and two facing the sea on the ground level) is really a nice touch, and it seems like you enjoyed them! Whenever you want to come back to Miami, you are welcome because you were a great guest! Natalia, You are the best host ever! Natalia, You are the best host ever! The appartment was amazing! The view was unbelievable! The ammenities are out of control! You´re always soooo nice!! I´m delighted that you loved the place so much although you only stayed for 3 days. You´re very friendly and warm, and I think this place suits you. I know that you loved the amenities, especially the terrific spa designed by Philippe Stark. See you back in Miami soon! Thanks so much Mia! It was really a pleasure to have you an Kristof. You´re truly special people, which is refreshing. One of the most enjoyable aspects of my work is meeting people like you who become more than just a guest. I wish you the best in your new life and hope to see you back in Miami. Say hi to Kristof for me! No words to describe how Natalia received us. No words to describe how Natalia received us. She was very attentive all time in our stay. The appartment is much better than the pictures show us and certainly exceeded our expectations. Incredible amenities, spa, one of the biggest pool in US. Location is perfect. For sure the best apartment that we rented ever. We hope rent it again soon. Natalia Thank you so much. You are amazing. WOW! I appreciate your warm response. May I say in return that you were amazing guests. Although it was a short stay, I´m thrilled that you enjoyed my apartment so much! Brickell is an exciting area and I know you took advantage of the many opportunities it presents. I would be happy to welcome you back any time! What a great place. Thank you Natalia. The view, the accommodations, everything was exactly as described. Natalia was a great host as well. If anyone has an opportunity to stay here take it. Don't miss out. We will be back for sure. Robert, the pleasure was mine! Your stay was short, which means you better come back soon! Thank you for the kind words, I´m really glad to hear you enjoyed yourself. Until next time! Natalia was the ultimate host!!! Natalia was the ultimate host!!! Everything was top notch. Before our arrival, Natalia was their to answer all questions and concerns. Upon arrival, it was love at first site. The property is one of a kind in the area. Nothing compares to the amenities included. The apartment is very spacious, 5 adults fit comfortably. Those beds were heaven sent! Loved that the kitchen was fully stocked with everything we needed. Natalia even left flowers and a bottle of wine as a welcome for my birthday. Without a doubt, I'll be back to Natalia's property again. Woooww! thank you so much for your kind words, Desiree. I´m glad that you had a special birthday and am happy to have had the opportunity to somehow be a part of it... although I didn´t taste the cake you made!!! LOL No, seriously.. You were amazing guest and you are welcome to stay with us whenever you want. Hope you have an amazing year. Un abrazo! Hands down the best experience we ever had with a rental property. The unit is the epitome of luxury. Impeccable, impressive, and extremely clean. Top of the line furniture and appliances. The views are to die for. Totally soundproofed, a good night's sleep is guaranteed. The beds are extremely comfortable (orthopedic). Natalia is friendly, warm, personable, and courteous. She went well above and beyond what was expected of her. Natalia made every effort to make us feel welcome and treated us with respect. She timely responded to any and all questions we might have had. In regards to the surroundings every amenity in the complex is designed to make you feel special. The pool, the gym, and the spa are amazing. The tend to get crowded during the weekend (understandably so). The staff is trained to cater to all your needs. Note that every weekend there is a pool party taking place. We really enjoyed it! In terms of location, everything you might need is less than 10 minutes away (walking). 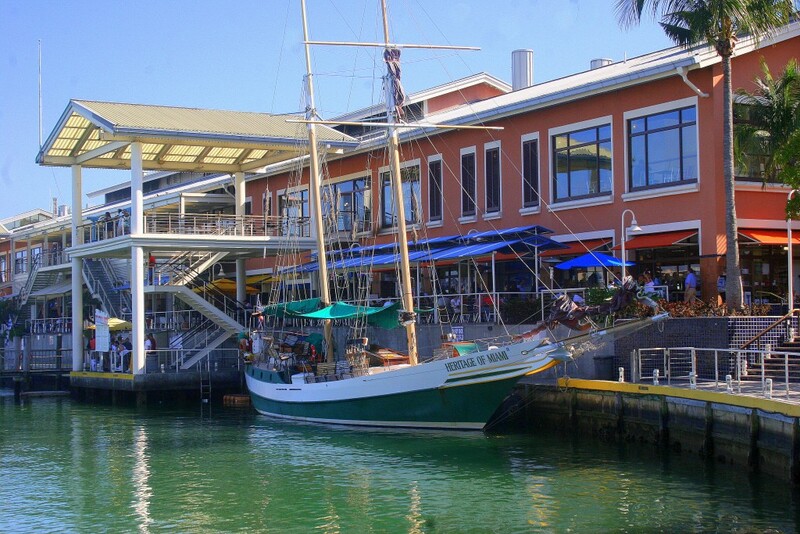 There are lots of high-end restaurants in close proximity. 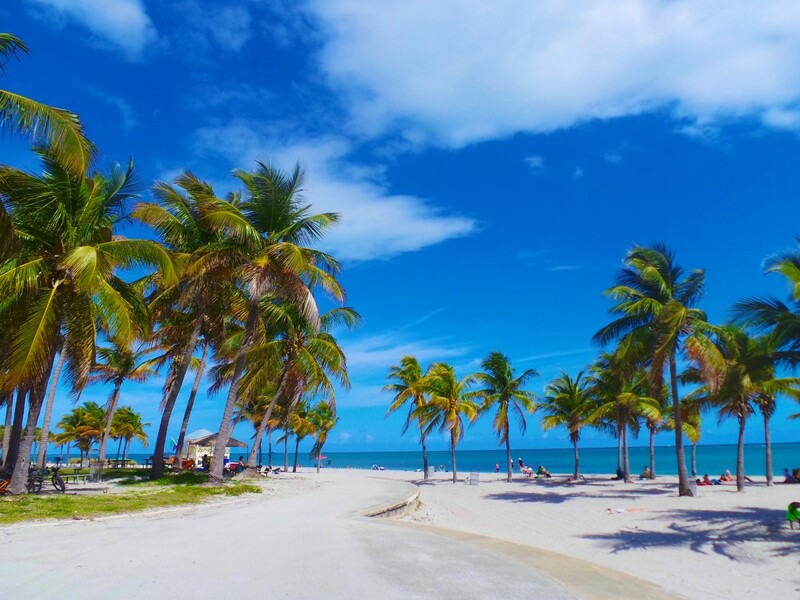 Coconut grove is less than 15 minutes away by car. SoBe less than 20. Traffic is an issue (well, this is Miami after all) so plan accordingly. In sum, we had a blast! Natalia was the perfect host and this unit was the perfect property for our getaway. It will definitely be our only choice for our next Miami trip! We really appreciate your AWESOME review!! Only a professor could write such a beautiful and informative text. Thanks!! I wish I were able to describe how kind and smart you are. You knew exactly what you wanted! And your wife and your parents were so nice and sophisticated! Congrats on a beautiful family and thank you for taking such a good care of the condo. We hope to see you again in Miami!! I had an amazing time staying at this condo. Very nice place in a central location for most of the activities that you would like to do! Great host as well!